Albert Monkwarrior Rennes, the creator and leader of the MMP mod, R.I.P Albert. AKM for the permission to use his work in MMP7 (the skin selection menu). (C) 2007-2008 True Games Publishing Ltd. Anyone I have missed, please contact me. Create and new install of T34 vs Tiger. If you are a windows 7 user we suggest you install into c:\games\... folder and not the program files folder, which is the default path. Extract the contents of the zip into the new install, say YES to overwrite... Done. Windows 7 users, if you have a black screen at launch you will require the dll's from the dll.zip extracted to the T34 vs Tiger directory ( where the TvsT exe is). You will require Gameranger to play online with other MMP7 players. Create a room, wait for you're friends to join, click host. Pick the map, choose you're tank press play. It is very important that you all have exactly the same version of the game! Sometimes you will spawn into the enemy's camp. We have had the odd invincible tank, usually a T34. To hear the ambient sounds you will need to go to Single Player choose a side. You will then hear the ambient sounds. Navigate back to the MP screens and play as normal. We are working on improving TvT and there are still some problems. This is a beta so it is not final. If you are a coder with C++ experience and would like to help out please get in touch. If you want to get involved please come over here and register your interest. this is a beta test, the game is much improved in terms of mp stability and the new sounds and skins are great. Anything new? Tentative release date? We are looking at the best way to get the patch out to you guys. We have changed the directory structure of the original game and that is causing us some issues with regards to release of a patch. The MMP7 beta is up for those that requested the chance to test. 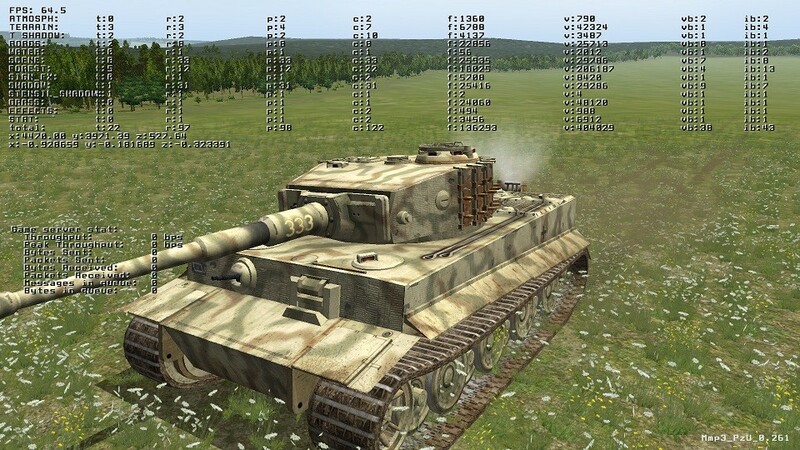 A pm has been sent to you're pm box at panzersim. got it this morning. going to test as soon as my brother gets off the TV. he is totally addicted to Borderlands. EDIT: I keep getting script errors. I got a couple more things to try first. When you guys suggest a new install, is it recommended to play it through a couple times first? the first time, I just uninstalled TvsT, then reinstalled, then without running the game at all, I installed MMP7. critical error. something to do with a script. then, I uninstalled it all again. reinstalled, and this time, started the game. got to the main menu, checked my video settings. critical error. different script though. I think I might have to run the actual game once just to set things up. Like GWX and Silent Hunter 3. Last edited by Sledgehammer427; 04-28-2011 at 09:12 PM. I am sorry to hear you are having problems. I know what is happening and urge you to re read the readme. I'm running windows XP sp3. What do you suppose the problem is? Also got any screenies of the error. K all you need to do is is unzip the patch file in to a seperate folder from your tvt install copy the T34vsTiger.exe from your stock install into the folder where you unzipped the patch files, click onthe exe in that folder and the game will run. Last edited by VAseMkIII; 04-29-2011 at 01:29 AM. I don't have teamspeak installed, but I intend to play TvsT online so its on the list. I still have to try running the game itself before installing MMP. if it still refuses to run I'll document everything the game and my PC says. be shure that you unzip the mmp7 into an "own" empty folder copy the tvst.exe from your stock TvsT in that folder and start the game with the tvst.exe from this new folder. using the wrong exe causes problems in multiplayer --> set the correct exe in the gameranger settings! its working now. doing some stress-testing today, then later tonight I'll get gameranger and teamspeak.